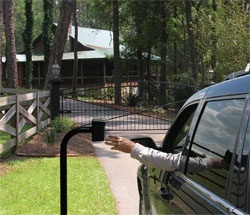 U.S. Automatic Patriot 1 single swing gate operator. $2,250.00 installed. 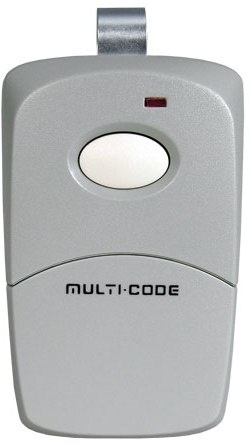 U.S Automatic Patriot 2 dual swing gate operator. 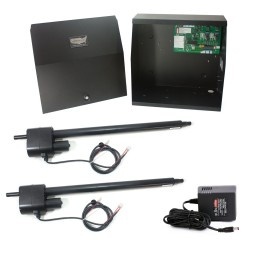 $3,250.00 installed. Hold open feature for deliveries, parties, projects, etc. 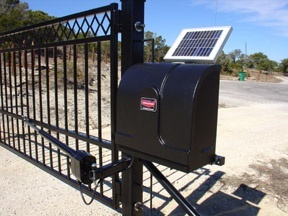 Our Patriot operators include a 12 Volt sealed maintenance free battery, 6 Watt solar panel (for solar option), battery charger (for A/C option), LCR radio receiver, and two LCR push button remote transmitters. Includes onsite welding, fabrication, and touch up paint. 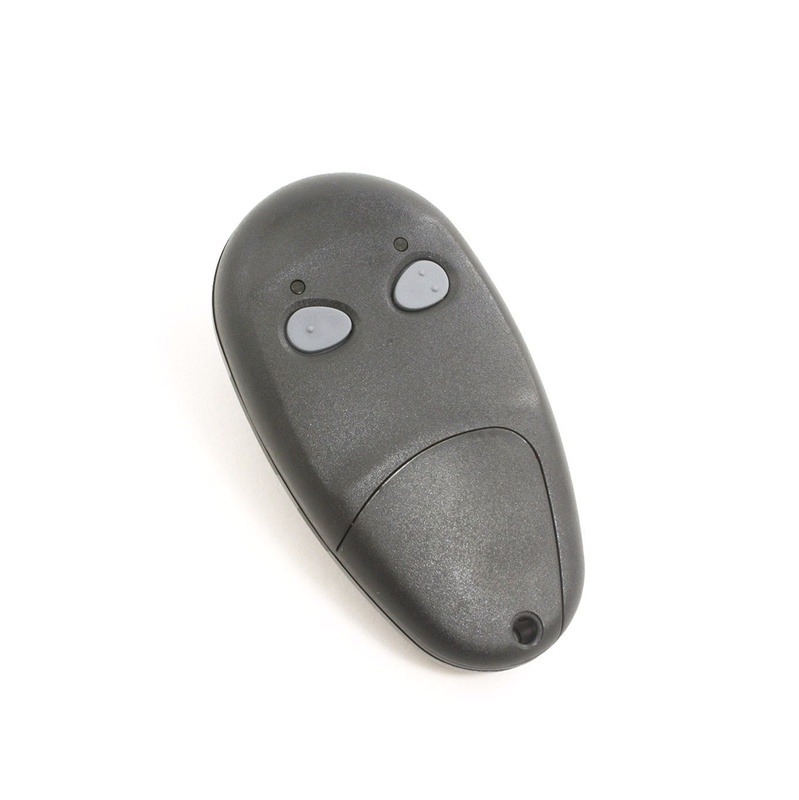 Remote transmitter for American Armour $30.00.